Few things will inspire your team more than a trip to a foreign country like Costa Rica. They will learn a new culture, play against local teams, explore an exotic location, and most likely return with great stories and memories that will last a lifetime! However, raising the proper funds for 20 or 30 people to take an international volleyball tour can be a challenge. Fortunately, there are a lot of ways in which to get the funding for your trip to Costa Rica. 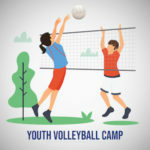 If your players are high schoolers or college students, put their expertise to use by coordinating a youth volleyball camp. Young athletes are always excited by the opportunity to play with and learn from older players, and their parents would love the opportunity to let their kids train under more experienced athletes and their coaches. In fact, thousands of kids spend their summers training and practicing at such camps, especially in preparation of team tryouts and the season ahead. 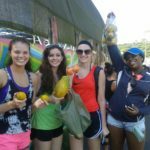 If you can start a great camp and have your players act as counselors and assistants, you could be well on your way to raising the necessary money for your Costa Rica tour! You’d be amazed at how much people who care about you will appreciate the opportunity to help you towards your team’s personal and athletic goals. Have your team compose hand-written letters to family members and friends asking for a donation to make your trip possible. Make sure the letters are genuine, and be sure to describe just how valuable of an experience this trip will be in your request for assistance. Think about it: if the entire team writes just 10 letters each, you’ll have roughly 200 letters going out. Let’s assume half of those letters bring in a donation of $20 apiece. That’s $1,000 in funds raised, just from writing a few letters. Just imagine what the numbers could be when extremely generous family members or friends start to contribute! 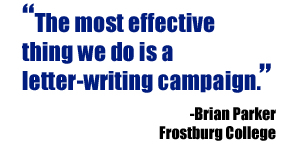 One big proponent of writing letters is Brian Parker, Frostburg University Women’s Soccer Coach, who states, “The most effective thing we do is a letter-writing campaign. The players identify 5-10 friends, family, neighbors, and we send a letter that asks for their direct support. We’ve found that to be very effective in our regular annual fundraising.” Thanks to their fundraising efforts, Parker’s Frostburg team has been able to do two soccer tours to Costa Rica! Everyone loves winning things, so why not organize a team raffle at your next pep rally or team function in support of your future sports tour? Ask for help and donations from team alumni or friends and provide several fun items up for stakes in the drawing. Some common ideas include professional or college sports tickets, signed memorabilia, sports gear, fun local excursions, and restaurant gift cards. Sell raffle tickets for a couple dollars apiece. Prize winners will be happy to receive their reward, and your team will be happy to be one step closer to their fundraising goals! Fundraisers can be very successful when you sell a specific product to your fans, especially at the start of a brand new season. Custom team clothing is a wonderful option and can include team socks, t-shirts, scarves, or hats. You can have a big kickoff fundraiser sale at the start of the year and continue selling what’s left over as the season progresses. Other non-team related products that make excellent fundraisers include flowers, scented candles (perhaps in the team colors), and cookie dough. As long as you approach each opportunity with great enthusiasm and drive, you’ll be sure to succeed, no matter which path you choose. Additionally, your players will learn a great deal about business and how to gain support from their community. Happy fundraising! Have a question about visiting Costa Rica or planning your own team tour? 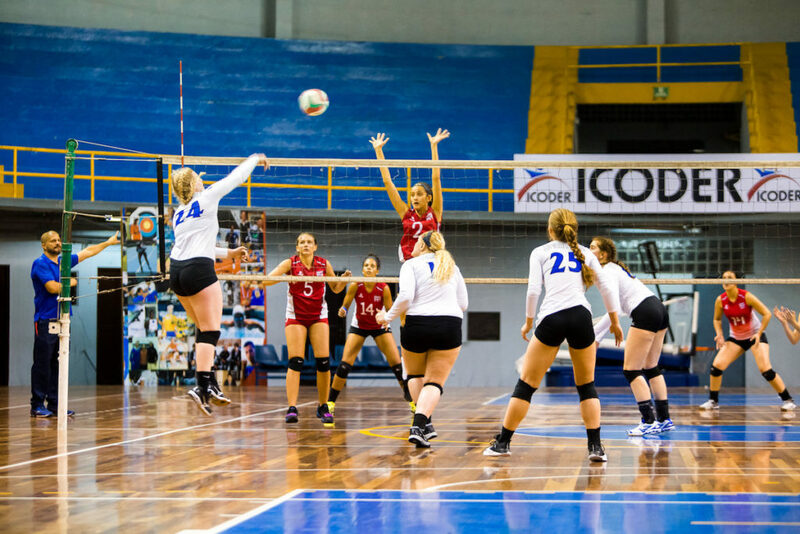 Click here to speak with a representative from Costa Rica Volleyball!